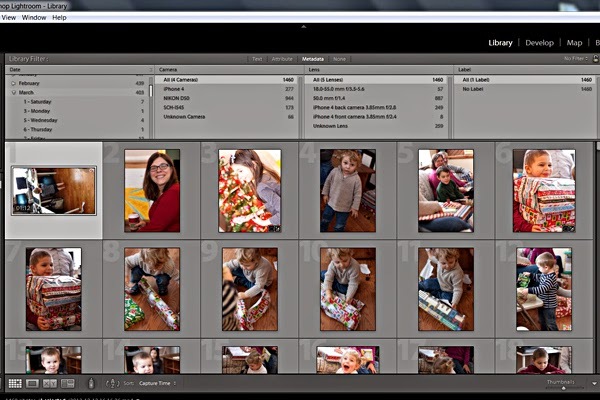 Home Adobe Lightroom featured pocket scrapping Project Life routine tutorial workflow Where are all the photos I want for my project? Where are all the photos I want for my project? How am I going to find them all in one place to make it easier for me to select which ones I want to edit and print for the week? 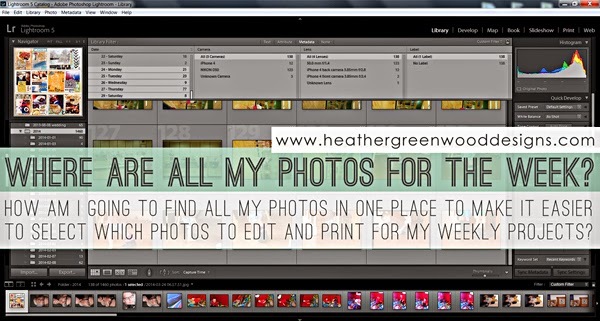 Wanna know how I find all my photos for the week in one spot from all of our cameras? Oh my goodness, you're going to LOVE this feature. 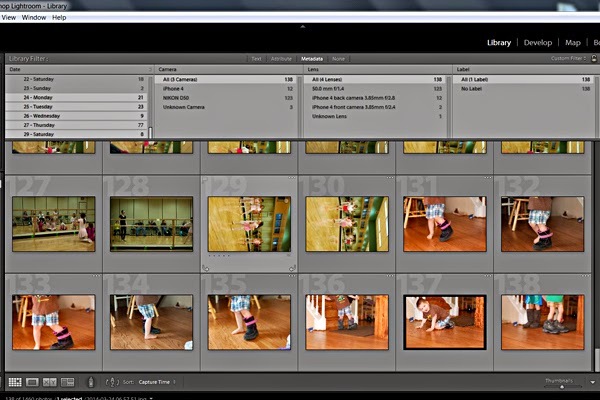 The metadata feature of the Adobe Lightroom library is my favorite and most used feature of the library module. 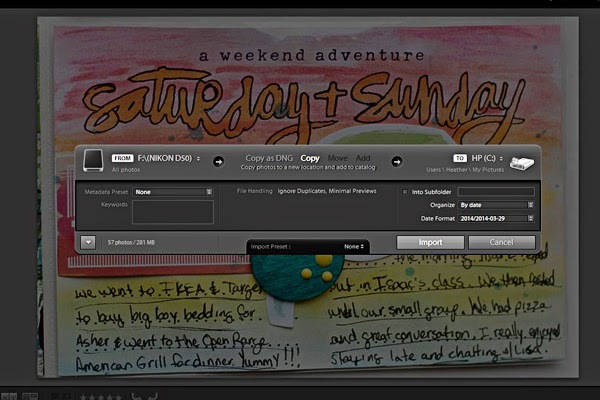 No need to spend hours and hours tagging my photos or putting them in weekly or monthly folders because with the metadata feature, I don't need to, WOOT! 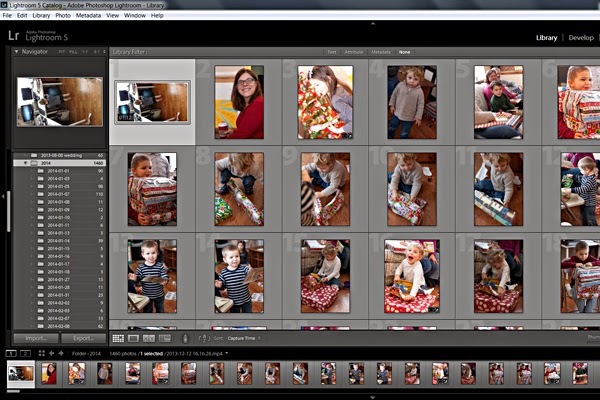 First we need to import all of our photos into Lightroom. To do that, we have the Dropbox app set up on both of our phones and Dropbox downloaded on my computer. I have a shortcut to my "2014" pictures folder on my desktop. 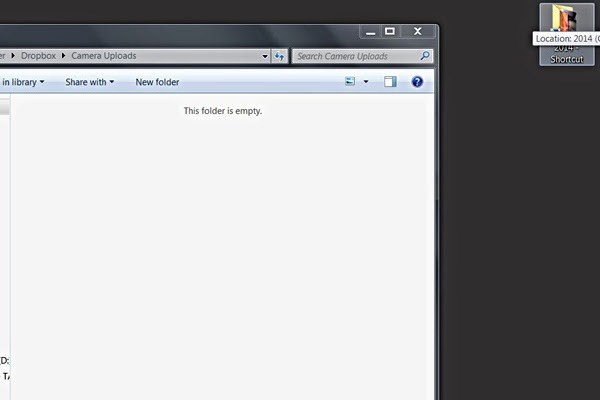 I then double-click on the Dropbox icon and the Dropbox folder will open up. 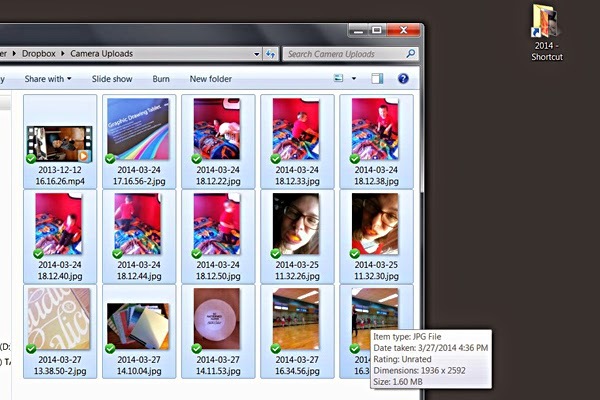 I click on "Camera Uploads" folder to show all our cell phone photos. I then click and drag all the photos into my "2014_shortcut" folder on my desktop. 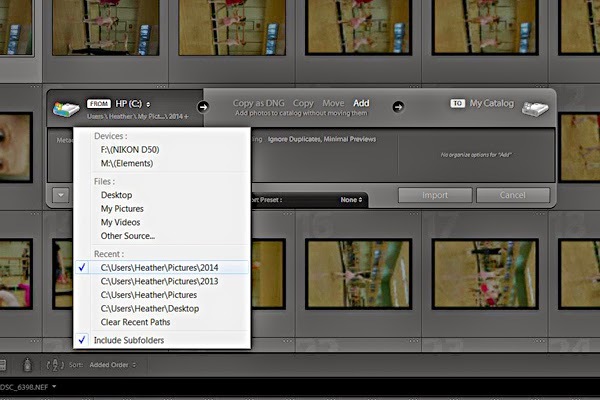 Under "File" I click, "Import Photos and Videos" (Ctrl-Shift-I). A box will pop up. Be sure that it says "Ignore Duplicates" under "File Handling" in the middle of the box. If I have the memory card in my computer, it will automatically choose that card as the location to import from. I click on "Import" and it automatically imports all my dSLR photos and puts them in folders by date in the "2014" pictures folder. For the dSLR, I just import all the photos throughout the week into Lightroom directly and Lightroom creates the daily folders in my pictures folder, rather than using Dropbox like I do with our cell phone photos. After it's done importing those photos, I go through the same process again, but instead of importing from the memory card, I import from the "2014" folder in my "Pictures" folder. 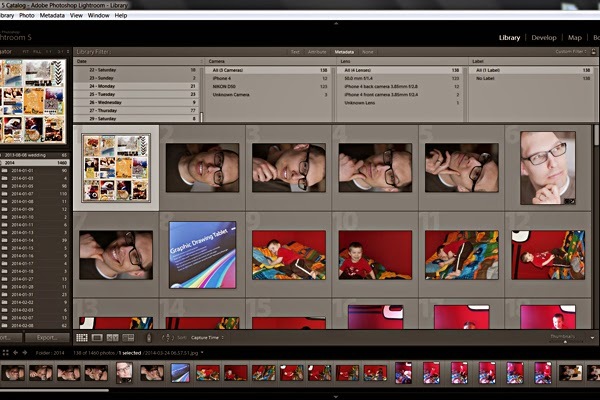 This will take a little bit to go through all the photos, depending on how many you have, to find the ones that haven't been imported yet and when it's done, you can click on "Import" and your camera photos will import. Again, make sure "file handling" says, "ignore duplicates", otherwise you're importing all your photos again that already have been imported. Once you have all your photos imported from the week. You will go to the left hand column in the "Library" module. Click on "2014" and all your photos from the folder will show up on the bottom and in a grid in the center of your screen. If only one photo shows up on your screen, be sure to click on the "grid view" button in the bottom left hand corner. 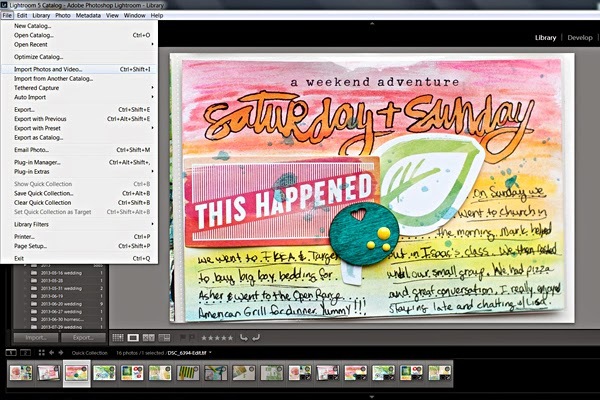 The grid view must be active for you to be able to use the metadata filtering. At the top/center you will see "Library Filter: Text - Attribute - Metadata - None". Click on "Metadata" and a menu will show up. 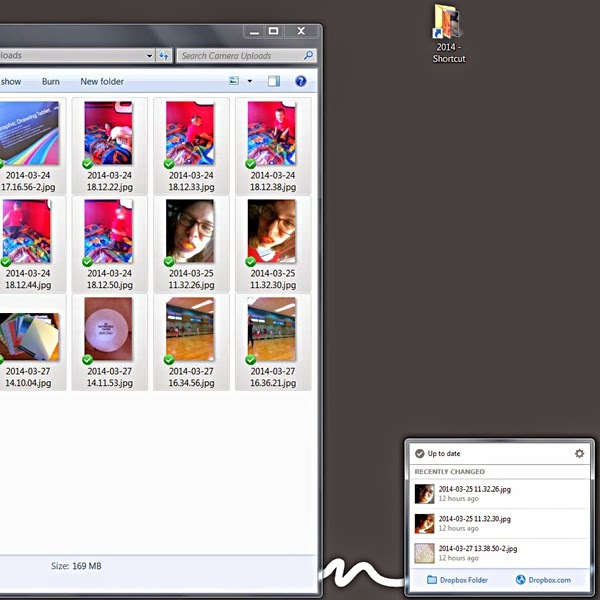 On the left hand you will see your picture folders that you can toggle to open or close each folder. The second column shows all the cameras you use. The third column shows the lenses used for your photos. The last column is for labels for when you've tagged your photos. As you can see, I don't tag any of my photos. To get all the photos we took for the week, I find the "2014" folder, the month's folder and then click on the dates while holding down the "shift" key to highlight the dates for the whole week. I now have all my photos for the week from all of our cameras in one spot. You now see all the photos from that week in the grid view and also in your bottom tray. Next week, I'll share how I narrow down the photos I want to edit and print for my weekly projects, by using Quick Collections in Lightroom.